Searing Heat Again Today - Sct T-Storms. 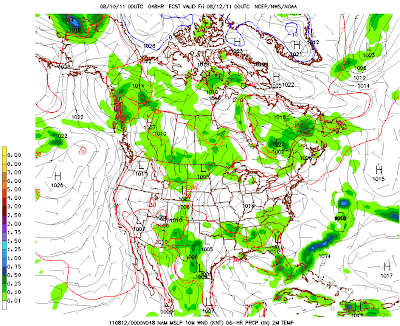 WRF/NAM Surface/6 Hr Precipitation Forecast. 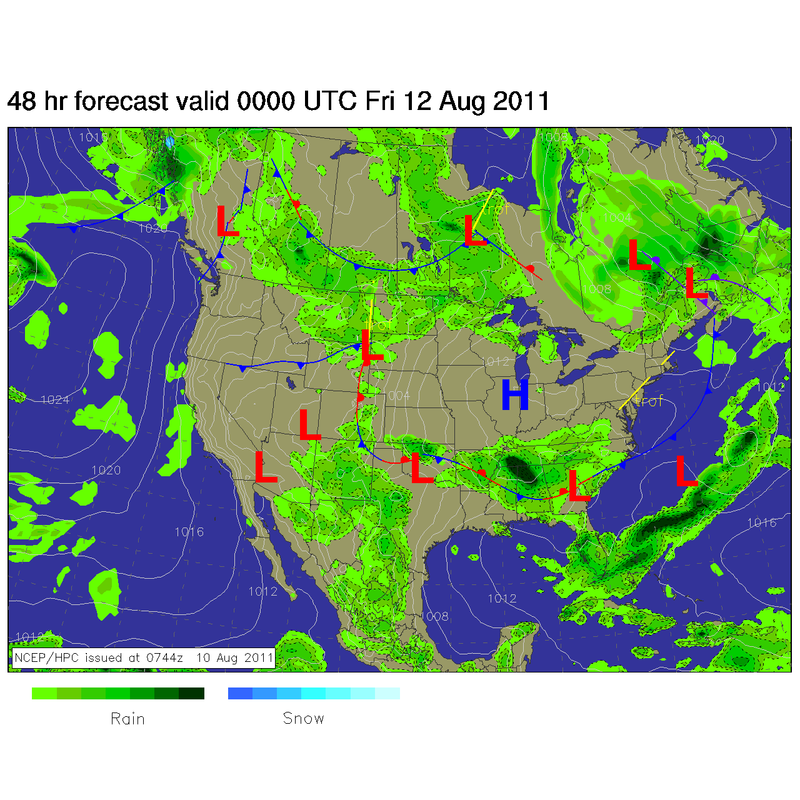 Valid At 9 PM MDT Tonight. 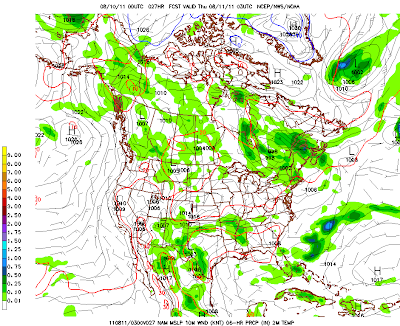 Valid At 6 PM MDT Thursday. 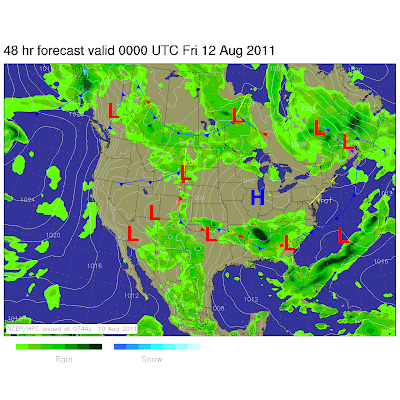 Surface Map Forecast Valid At 6 PM MDT Thursday. 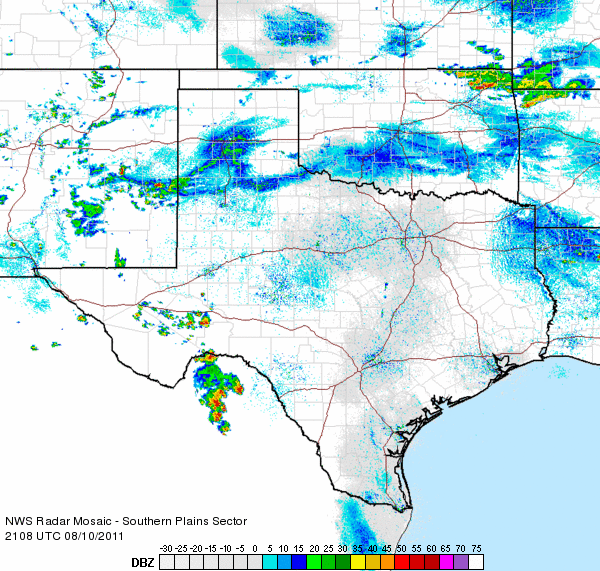 Southern Plains Radar Map At 3:08 PM MDT. A weak cold front had entered the Clovis area as of 2 PM MDT. the eastern plains of New Mexico, and across the Texas Panhandle. local area this afternoon and evening. Another Day Of Searing Heat - Better Chc For T-Storms. This summer has been one for the record books that's for sure. Later on I will summarize the record heat that we have experienced over the area since June. Yesterday marked the 58th day that Carlsbad has reached or exceeded 100-degrees this summer. Artesia recorded its 52nd day yesterday and the Roswell Airport marked its 47th day of 100-degree or higher temps. Another scorcher is on tap for the area today with our afternoon high temps forecast to range from 104 - 106. A few spots may be a couple of degrees hotter. It appears that our high temps will continue to reach, or exceed the century mark for the next seven days or so. There may be a glimmer of hope on the horizon concerning at least a better chance for scattered t-storms across the area. The center of the upper level ridge of high pressure is forecast to shift further to the east over the next couple of days. This should allow for more of a southerly flow into the area, which in turn should transport more monsoonal moisture northward out of Mexico and into New Mexico. 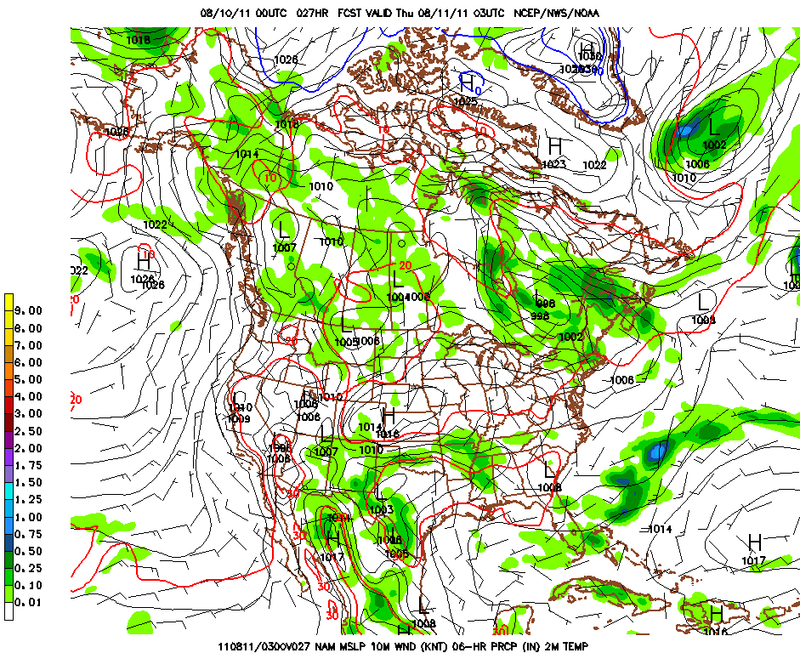 A disturbance moving northward out of Mexico should help to destabilize the atmosphere and promote t-storm development. Meanwhile, a weak cold front was draped across eastern Colorado this morning, and is forecast to slide slowly southward today and tomorrow. Just how far south it comes is questionable at this time. If it can get enough of a push from t-storm outflow boundaries to our north, then it may make it into SE NM tomorrow afternoon or evening. 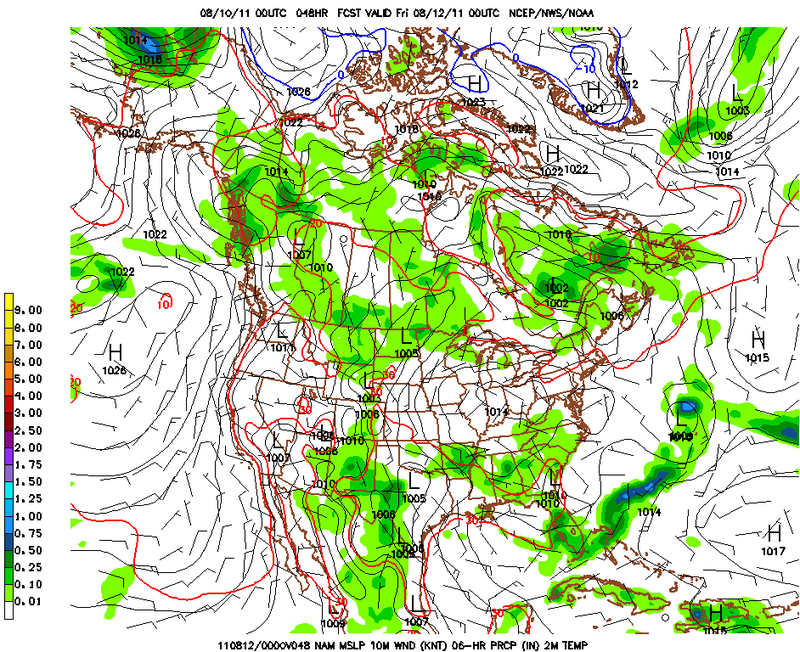 This would enhance our chances for t-storms. Yet another cold front may make a run southward and into the local area this weekend, thus providing us with another shot at scattered t-storms. Our chances for rain have gone up here in the Pecos Valley in the surrounding areas. Most of us have a 20% - 30% chance of scattered t-storms today into the weekend. A few of these storms will be capable of producing locally heavy rainfall, along with localized flash flooding. This will be especially true over and near the mountains and the burn scar areas. Deadly cloud to ground lightning and strong gusty winds will also be possible with these t-storms.